The episode starts with the fun, joy and innocence of Bhoola. 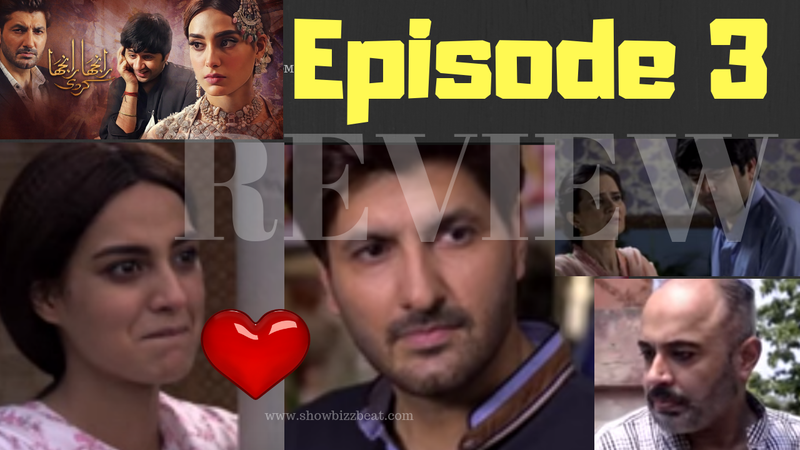 He then visits his Mumtaz Begum along with Noori, When Noori See the Mumtaz Begum, She makes fun of her, As She is not a real Women .We came to know in this episode that There is also a part of Transgender's in this Drama, Which again takes the Serial to a Certain level. They can play with this role a lot, as we saw in the famous evergreen Pakistani Serial "Janjaal Pura". Well the episode moves towards its middle stage where Noori thoughts about Sahir, and then later on She realises her love for Sahir. There is another very interesting character in this serial named "Shooka" played by Pakistani actor Noor. He is a Don kind of Character, Who is Don only for himself or for Noori's father. He tries a lot to have some words with Noori. But Noori gives him a harsh reply every single time. While on her stay of one day at her village / Home she realises that she is in a true love with Sahir, soon next day She reaches Shair's Shop and Directly Proposes him, Sahir for a moment goes in shock. Then later on Sahir Also expresses his love for Noori, but he is actually hiding his love very much as compared to Noori. This episode shows us that the character of Noori is not only independent and arrogant but also a very straight forward kind of a girl. A girl What ever she wants she should get. In the last parts of this episode three of Ranjha Ranjha Kardi, The character of Bhola again appears this time the director shows his mom, So we came to know about his mom in episode three of Ranjha Ranjha Kardi. The work of Bhoola, Noori and Shooka is remarkable.